Spring has officially arrived and we’ve got bud break in the vineyards! 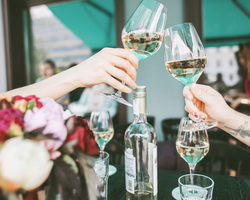 We invite you to come out to wine country and enjoy Easter Brunch, take in a concert or food & wine pairing, or simply wind down with a glass of wine and live music. Doggie Easter Egg Hunt at Carol’s Restaurant / April 21 / 1:00pm / Regular Menu plus Easter Specials. All dogs must be on leashes. Plastic eggs are filled with turkey hotdogs. Owner’s responsible to make sure dogs don’t eat plastic eggs / This is a popular event…Reservations Highly Recommended! Please call in advance at 951-676-9243. Brunch Specials every Sunday at Meritage / 11am / Cost is $25 / Includes a mimosa with fresh squeezed orange juice, entrée and dessert. All food from Meritage is farm-to-table, either grown on property in restaurant garden or locally sourced. Cougar Craft Night / April 24 / 4:00pm-6:00pm / Wine club $35pp, Non-wine club $40pp / We’re making a Derby Hat, Fascinator or Tie. Why? We’ll be having a Kentucky Derby Party May 4th with best dressed prizes!! All materials needed to create your item will be provided plus expert help from our Event Team! Craft, sip and nibble the afternoon away! Reserve your spot by calling the winery 951.491.0825 or visiting the tasting room. Easter Lunch / April 21 / 12pm-3pm / Adult Tickets: $54.99 / Société $49.49, Children Tickets, $19 / Société $17.10 / Join us Easter Sunday for a delicious lunch by Chef Dean, Egg Hunt with the Easter Bunny, Face Painting, a kids Jolly Jumper and live music by Jimmy Patton! / Please visit us at www.europavillage.com for reservations. Festa! Featuring Mrs. Jones Revenge / April 19 / 5:30pm -8:30pm / Free Admission; Food Tickets: $19 / Enjoy wine, food and live music by Mrs. Jones Revenge, benefiting Fine Arts Network! Please visit us at www.europavillage.com for additional information. Afternoon Tea At Leoness / Begins April 1st Monday through Thursday / 2pm-5pm / $55pp for Tea; $75pp for Tea & Sparkling Wine; $5pp additional for Terrace seating (upon availability) / Chef Daragh has selected only the finest loose leaf, hand picked first flush teas from around the world. Matching that with his experience, his staff has crafted all of the freshly baked pastries and scones in-house and chosen only the finest condiments from Europe and clotted creams from Devon in Cornwall. With unparalleled views of the Temecula wine country and traditional silver service, Leoness will immerse you in a true Afternoon Tea Experience paralleled to that of the finest teas served in London hotels / By reservations only 951.302.7601 ext. 1. Please allow 24 hour notice upon booking. Down 2 Earth BBQ / April 28 / 3pm / $25 per person / Sip some great wine, bite into tasty BBQ and hear about our involvement in the California Sustainable Winegrowing Program from our winemaker/viticulturist Nicholas Palumbo where he will delve deeper into the word “Sustainable” and what it means to our lives as well as our business. Also learn how you can support local 4H and FFA kids and fill your freezer with locally and ethically raised, healthy, safe meats / Contact Cindy@palumbowines.com for tickets.Very Limited Seating. Supercross Watch Party with Road 2 Recovery / April 13 / 5:30pm-9pm / Tickets for entry are $5 / Come watch the Denver Supercross with us on the big screen. We’re teaming up with the Road 2 Recovery Foundation to fundraise for local small business owner and motorcycle enthusiast, John Fonteyn, and his R2R campaign. The evening will include a DJ, raffles to be held during commercial breaks, two local food trucks, Peltzer wine, beer, motorcycles on display, raising money for a deserving individual, and supporting an awesome foundation / Tickets can be purchased online at www.peltzerwinery.com. All entry ticket and raffle ticket proceeds to straight to charity. Ponte Earth Week Sustainability Tours / April 22nd – Friday, April 26th / All tours starting at 11:00 a.m. – 11:30 a.m. / Price: $5 per person / At Ponte, we don’t only talk the talk; we walk the walk! Starting on April 22nd (Earth Day!) and continuing through April 26th, take a tour through our working winery to see our sustainable practices in action. Join us for a splash of wine before boarding our 10-passenger tour bus and learn about the rigorous standards we uphold to maintain California Certified Winegrowing Certification for our 8th year in a row. To request a tour, please email tastingroom@pontewinery.com. Space is limited; request your tour today! Behind the Scenes Wine Tours / Tours are held daily at 11 AM, 1 PM and 3PM, Monday through Sunday/ $45pp; $40pp Wine Club Member or Military Learn more about our spectacular Southern California Temecula winery with a behind-the-scenes wine tour, from vineyards to crush pad. 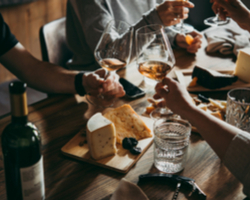 Each tour concludes with 5 wines paired with an individual plate of specially prepared lite-bite foods, designed to enhance your wine knowledge and experience / Reservation Information: Call 866-994-6379 Ext. 7217 to reserve your spot today / Due to the limited sizes of each tour, reservations are required with prepayment, and are non-refundable. Guests must be over 21 years of age to attend. Friday Live Music “B.I.G.” / April 5 / 6p-9p / Cost: $15 in advance ($20 at the door) / Call Thornton winery @ (951) 699-0099 to reserve a table. Table reservations require each person to order dinner. Please visit us at www.thorntonwine.com or call 951.699.0099 for reservations. Friday Live Music “KILLER DUELING PIANOS” / April 19 / 6p-9p / Cost: $15 in advance ($20 at the door) / Call Thornton winery @ (951) 699-0099 to reserve a table. Table reservations require each person to order dinner. Please visit us at www.thorntonwine.com or call 951.699.0099 for reservations. Spring has sprung in Temecula Valley Wine Country! We’ve seen bud break in many of our vineyards, signaling the end of winter and the beginning of a new season. From St. Patrick’s Day to cooking classes and everything in between, the wineries have something for everyone! Bridal Show – Married to Mimosas! / March 24 / 10:00am– 1:00pm / South Coast Winery invites you to our 2019 Bridal Show “Married to Mimosas!”. Your $10 admission fee includes access to top industry vendors, wedding inspiration designs, tray passed appetizers, and mimosas, of course! Vendors from florists to DJ’s to planners will be in attendance to help jump start your wedding planning journey. South Coast Winery will also be offering a 10% day of booking discount and your chance to win our exclusive raffle give away! / Reservation Information: Space is limited. Advanced ticket purchase required, no tickets will be sold at the door. Please visit www.wineresort.com to reserve. Behind the Scenes Wine Tours / Tours are held daily at 11 AM, 1 PM and 3PM, Monday through Sunday/ $45pp; $40pp Wine Club Member or Military. 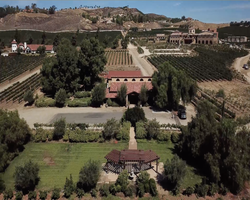 Learn more about our spectacular Southern California Temecula winery with a behind-the-scenes wine tour, from vineyards to crush pad. Each tour concludes with 5 wines paired with an individual plate of specially prepared lite-bite foods, designed to enhance your wine knowledge and experience / Reservation Information: Call 866-994-6379 Ext. 7217 to reserve your spot today / Due to the limited sizes of each tour, reservations are required with prepayment, and are non-refundable. Guests must be over 21 years of age to attend. JAZZ LOUNGE WITH JULIAN VAUGHN / March 2 / 5 – 7:30 pm / Price: $95 per person / Wine Club $85.50 / Join us for an evening of Jazz featuring the amazing Julian Vaughn! Enjoy sweet music paired with a delicious buffet dinner. Drinks will be available for purchase all night as well. Since our last winemaker Q&A was so popular, we thought it might be time to do another one. For this issue, we caught up with a dynamic group of Temecula Valley rockstars – the women of wine country – to ask them about their inspirations, their aspirations, how they feel about being a woman in a male-dominated industry, and what their day-to-day looks like working in one of the most idyllic places on earth – Southern California. They are at once businesswomen, multi-taskers, leaders, mothers, daughters, entrepreneurs, creatives, winemakers, farmers, and everything in between, and it’s clear they are ambitious as hell, and very passionate about Temecula Valley. Temecula Valley Winegrowers Association (TVWA): What or who inspires you on a day to day basis in your job? Cindy Palumbo, Owner, Palumbo Family Vineyards & Winery: I am inspired daily by my husband [Winemaker, Nick Palumbo]. I rely on his focus to produce the top quality wine that we have. He makes me think about small details, and it has definitely helped our business. 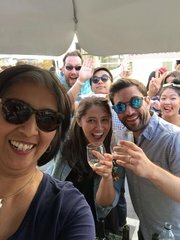 Patricia O’Brien, VP of Sales & Operations, Danza del Sol Winery and Masia de la Vinya Winery: My staff inspires me on a daily basis. Being surrounded by creative people who share your goals and passion for wine is amazing. 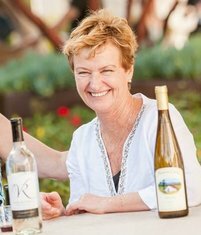 Olivia Bue, Winemaker,Robert Renzoni Vineyards: The energy from other Temecula Valley winemakers gives me inspiration and motivation to keep making the best wine possible. We all have a synergy that allows us to be supporters of each others’ successes rather than competitors. Krista Chaich, Executive Director, TVWA: Since the day I arrived in Temecula Valley Wine Country almost 15 years ago, I’ve been inspired by the people whose passion led to where our wine country is today. But these days, I’m inspired by a wine country pioneer, Phil Baily who continues to produce beautifully crafted wines (with a bit of help from his winery cats); Joe Hart, whose passion for winemaking has extended to his sons, Jim and Mike; and a multitude of “newcomers” who’ve been drawn to our region because of the foundation that has been laid by the generations before them. Cori DeHore, Operations Manager, TVWA: Our guests and their enthusiasm in planning their visit with us for the first time. TVWA: Have you had any mentors in your career? Cindy: I always looked up to Joe Hart when I was at Hart Winery. I admired his style of winemaking and he made me feel like part of the family. When I was at Callaway I looked up to John Moramarco. He was so patient with me and taught me a lot about farming and the vineyards. John and Joe played an instrumental role in helping to preserve the region’s agricultural roots. They helped me realize that we really want to help maintain integrity in the Valley by farming and producing high quality wines. 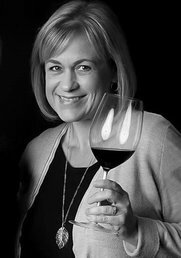 Valerie Andrews, Owner & Vice President, Oak Mountain Winery: My Dad was my mentor in the wine business. Growing up he was so enthusiastic about fine wines and always talked about them at the dinner table. During one visit to our house (which is now the Temecula Hills Winery and production facility), he jokingly said, “You have 10 acres. Why don’t you terrace the hills and plant grapes?” Well that year we did. Once the grapes grew, we had wine barrels everywhere – even our bathroom – and decided to start our wine career. We opened Temecula Hills Winery in 2001. I am very proud we were able to make a great Syrah blend which we named after dad – “Ed’s Red” – which got a silver medal. The best part was that dad was still alive to enjoy the notoriety and did a bottle signing for our customers. Of course I still have mine. Cori: During my teens, my mentor was my high school Home Economics teacher. I was her teacher’s aide and it was the first time I felt someone genuinely have confidence in me. She made me feel like I could do anything for a career. 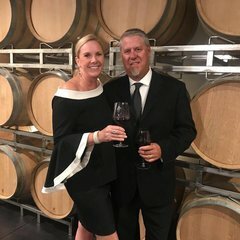 Olivia: I have worked alongside some incredible winemakers in different regions throughout my young career, but my first mentor in Temecula, Gus Vizgirda, stands out as my foremost influencer. TVWA: What is the hardest part of your job? Cindy: The hardest part has been trying to raise our 4 children while building a business. In the early years, the kids were small and didn’t understand that we had to work every weekend. I also had our 4th child after the winery opened. He spent his first few years in a playpen behind the bar. Patricia: I’m not going to lie! The hardest part of my job is learning how to take criticism and learn from it. Getting it right is important when you are the one in charge, but listening and learning from your mistakes is just as important. Krista: My job is to promote the whole region as opposed to wineries individually. It isn’t lost on me that many of them have put everything that they have into their businesses. But representing so many people, with differing business models….that’s pretty tough. Olivia: The hardest part of being a winemaker is continuing to improve each wine, vintage after vintage. After releasing a wine that our wine club members and customers love, it’s my priority to make that next vintage even better. This can sometimes be challenging when weather causes stress on the vines and fruit quality is impacted, but the challenge of constantly improving is what makes this industry most gratifying. TVWA: What is the most rewarding part of your job? Cindy: Tasting the final product, and when I hear people in the tasting room enjoying the wines. I also find great satisfaction in raising our own food. Being a totally sustainable vineyard, winery and household, gives me great pride. I love providing food for my family. 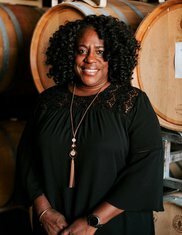 Jana Prais, Sales Director, Maurice Car’rie Winery: The satisfaction of introducing Temecula wine to people who had never heard of it, and having them learn that it’s an exceptional product. Most people are unaware of the high quality wines coming out of this part of California. It feels good to witness their surprise. Krista: Can I say the wine?! I mean, it’s not only the wine, but it’s also that I’ve met so many wonderful people in this business over the years. The wine business is big, yet so small at the same time. Valerie: The best part of the job is the great people I meet on a daily basis. When customers enjoy the hard work Steve has put into making the wine, the training I have put into our staff and the dream of building the first and only mined wine cave in Southern California, it puts a smile on my face. I see people walking on the grounds, hand in hand for their vacation… They chose to come to us. Carrie Peltzer, Owner, Peltzer Family Cellars: I love watching people’s faces when they visit us. Their faces tell the story of how much they love the space and enjoy the wine! Olivia: By far the most rewarding part of my job is the journey from vine to bottle to table. To be able to capture years of hard work in one single bottle is undeniably the most fulfilling part of my job. TVWA: Do you feel being a woman has made it harder to be successful in any way? Has it made it easier in any way? Cindy: It has not made it easier. I wear many hats, being a woman. I am required to run a business, run a household, raise children, raise animals, volunteer in my community, volunteer at the school. I am a chauffeur, a personal shopper and confidant, a tutor and a wife. 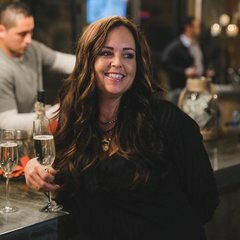 Patricia: To be honest, I feel that being a woman in a management position at a winery has made it easier because I’m able to tap into my natural abilities as a mother of three busy children (between the ages of 23 and 7), so I know how to multi-task, while meeting deadlines, collaborate and have fun doing it. Jana: I’ve observed that women are often great at multi-tasking and can be adaptable to different personalities and situations. I feel these qualities in myself have enabled me to be successful in the job. Krista: I’ve never measured my successes or failures by my gender. Even though I work in a male dominated field, I’ve never felt challenged by that. Valerie: When I was 36, after a 19-year marriage my husband died unexpectedly in his sleep. I was left with 2 teenagers, a mortgage, and no real job. I had helped my husband in his painting and home repair business, so I decided to go for a paint contractor’s license and got started on my own business within 6 months. Back then, there were no woman painting contractors. I got involved in a National Women in Construction group, who helped me whenever I got in over my head. For 20 years, I painted schools, restaurants, homes and even a prison. I occasionally butted heads with the good old boys, and had my share of tears on my drive home, but it made me the confident woman I am today. TVWA: Where do you see yourself in 5 years? What about Temecula Valley Southern California Wine Country? Cindy: I see myself continuing my work for the State of California Agricultural Association. I would like to finish my children’s book series. I would like to continue to teach our children how farm and run a profitable winery. Patricia: I see myself running a third winery in Temecula Valley, while working to open my own winery consulting firm. In five years, Temecula Valley Southern California Wine Country will be the “it” wine region to travel to. Krista: The future is so bright for Temecula Valley Southern California Wine Country. I’ve seen it change so much in 15 years. We’ve come from a small, gem of a wine region, to a burgeoning wine destination in a short amount of time. We’ve dealt with many challenges, but I believe that if we are all unified in our vision of becoming a well-known and widely respected wine region, that’s exactly what will happen. And where do I see myself in five years?? Hopefully, leading the charge. Carrie: In 5 years I hope to be knee deep in our next phase of Peltzer, continuing to tell our story. I have been filing away in my mind all the things that I want to design and share with our Peltzer family customer base. My role at Peltzer will be to communicate the importance of a well-thought-out space, where our customers can come to experience wine country to its fullest, while enjoying the story, the space, the wine, meeting new friends and relaxing with old ones. Cindy: The most challenging thing I did in my career was probably while raising 3 small children. I worked the tasting room all day, and then we had a winemaker dinner that night that I was the server for…while 9 months pregnant. Raising children while running a business has always been challenging, but I wouldn’t change a thing. Running a business with my husband out of our home has had challenges. Our kids have learned that the combination of hard work and respect for each other pays off and is the greatest reward. 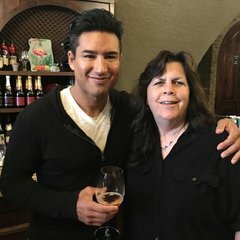 Krista: I could probably write a book about my experiences in wine country (although I’d have to change some names to protect the “innocent!”), but one experience stands out. I was attending my first Unified Wine and Grape Symposium in Sacramento, CA, and we were pouring wine at the regional tasting. I felt so proud and excited to be there, and the next thing I knew, Jerry Lohr, (the J. Lohr) came up to me and said, “Hmmm, Temecula Valley, huh?” I poured him a taste of wine, he sipped it, asked for another pour, and then got a huge smile on his face. He said, “You know…. that’s really good. That’s when I knew that I was part of something very special. It was only my second week on the job at the Association. Valerie: In the early years, we bought a giant fermenting bag for our Merlot grapes. You pump your must into the bag and, as it ferments and heats, up you run cold water in the outer shell of the bag to keep it from getting too hot. Well, the cold water wasn’t working, so the must keep exploding out of the vent pipe so we added 15 more feet to the pipe. When it was finally ready to pump the wine out of the bag, it wouldn’t come out as it was supposed to. So, Steve cut the top of the bag, and in I went up to my waist in must, and handed him bucket after bucket until it was empty. That wine got a gold medal. Special thanks to these dynamic women who shared their personal insights with us for this article. Next time you feel you can’t do it all, we hope their stories inspire you. A rich broth, moist hand-shredded chicken and smoky chipotle make this posole a standout. And you’ll have some extra poached chicken to enjoy in a salad the following day. Pair with your favorite Temecula Valley Barbera or Zinfandel. Put the chicken and water in a large pot and bring to a simmer over medium heat. Skim any foam that collects on the surface. When the chicken stops producing foam, add the onion, peppercorns, garlic, and bay leaves. Adjust the heat to maintain a bare simmer and cook 1 hour. Cool, then strain. Remove the chicken meat from the bones, discarding the skin. Refrigerate half the meat for another use. Shred the remaining meat by hand. Set aside 5 cups (1.25 l) of chicken broth and refrigerate or freeze any remaining broth for another use. Put the whole cumin seed in a small dry skillet and toast over medium heat, shaking the skillet often, until the cumin darkens and becomes fragrant, 3 to 5 minutes. Cool, then pound fine in a mortar or grind in a spice grinder. Remove the chorizo from its skin and put it in a large pot over medium-low heat. Cook, crumbling it with a wooden spoon, until it has rendered its fat and is fully cooked. Transfer it to a plate with a slotted spoon, leaving any fat behind. Add enough vegetable oil to the pot to make 2 tablespoons fat. Add the minced onion, bell pepper, and garlic and cook until softened, 5 to 10 minutes. Add the tomato, oregano, and cumin and cook about 3 minutes longer to soften the tomato. Add the flour and cook, stirring, for about 1 minute. Add the 5 cups (1.25 l) chicken broth and bring to a simmer, stirring. Add the cilantro, hominy, shredded chicken, and chorizo and return to a simmer. Whisk in some of the thick adobo sauce from the canned chipotle chiles, adding as much as you like. Season posole to taste with salt. Divide the soup among 4 bowls. Top each portion with a few avocado slices and garnish with chopped cilantro. Serve immediately with lime wedges. Avensole Winery ~ 2015 Barbera – Dark cherry, strawberry, lavender, vanilla. Hart Winery ~ 2015 Zinfandel – This fruity, classic Zin has been aged 12 months in premium American oak and blend with a kiss of Petite Sirah. Robert Renzoni Vineyards ~ 2015 Barbera – Ripened cherry aromas and flavors, this wine is bursting with berries and bright acidity,along with tart blackberry jam and tobacco on the finish. Wiens Family Cellars ~ 2015 Reserve Zinfandel – Dried fruit, toasted oak, refined tannins. There’s nothing better on a cold winter day than a big bowl of hearty soup! 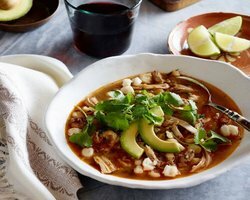 A rich broth, moist hand-shredded chicken and smoky chipotle make this posole a standout. 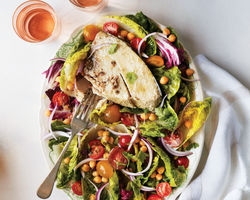 And you’ll have some extra poached chicken to enjoy in a salad the following day. Pair with your favorite Temecula Valley Barbera or Zinfandel. Europa Village ~ Private Reserve Barbera 2014 -Complex nose of ripe wild plums, figs, dried herbs, and bourbon; the mouthfeel is fleshy and powerful, but nicely balanced with proper acidity. Hart Winery ~ 2015 Barbera – Aged in fine American oak barrels, this Barbera displays typical varietal high acidity with a significant dollop of American oak on the finish. It’s the start of another new year and if you haven’t visited Temecula Valley Wine Country lately, now’s the time! Check out January’s calendar of events and make plans to visit us soon! 4th Annual Cougar Meets Italy, Movie and Wine-Judging event / January 16-17 / $10 per person / 6pm-8pm / This event will sell out!! The winery and guests will preview the “Bottle Shock” movie in the Barrel Room and then, Thursday, everyone will relive it! / Includes a glass of Cougar wine and all the popcorn you can eat. Combine with the Main Event and save! Cooking Class – Italian / January 13 / 12pm & 2pm / Tickets: $58; Société Members $52.20 / Embark on a culinary adventure to the Campania region of Italy, led by Executive Chef and Certified Culinary Educator Dean Thomas. Discover what historical influences shaped the culture and cuisine of this region while savoring a three-course wine paired lunch / For reservations please visit www.europavillage.com and click on events. 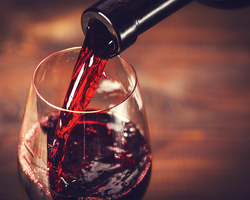 Wine Education Class / January 20 / 12pm / Tickets: $39; Société Members $35.10 / Let Europa’s Sommelier, Dr. Doug Garman take you on a journey through Italy, sampling Europa’s Vienza Italian wines, and savor samples of fine food pairings prepared by Executive Chef Dean Thomas / For reservations please visit www.europavillage.com and click on events. Syrah Blind Tasting / January 26 / 6pm-8pm / $60 / Join us for a celebration of one of California’s most popular varietal: Zinfandel. We will be sampling over ten different offerings from various California wineries, including Temecula, Napa Valley, Sonoma, Paso Robles, etc. / Epicurean appetizer, cheese and dessert pairings will accompany your tasting as well! / For reservation please visit www.montedeoro.com.